Tuna and noodles, a delicious casserole! Some recipes are so good, sharing only once seems a bit selfish! That is the case with this Tuna and Noodles casserole. It is really good, and while I know all food bloggers say their food is delicious, mine really is....or so I have been told! I hope you give this great casserole a try! Tuna and Noodles Casserole, too good to pass up! How does one describe a tuna casserole without losing the listener? There is a certain automatic sense of dread when someone says tuna casserole, even with me, and I know about this one. And this one is delicious. I originally found the recipe in Sunset magazine, years and years ago. And like most recipes, you make it your own. This casserole, however, has style, it is flavored with a couple of extra ingredients that are not unusual, but make this casserole one that is good enough for dinner guests! OR 2 c elbow macaroni cooked. Bring a large pot of water to a boil. Add the noodles and boil uncovered 9 - 10 minutes. Add peas and cook an additional minute. Drain well, and set aside. Saute the garlic in the olive oil until softened but not brown. Add remaining ingredients. Simmer 3 - 4 minutes. Combine the noodles and sauce in a small casserole dish. Stir together the panko and cheese. Sprinkle evenly over the top. Bake 15 minutes. We were in the midst of a serious thunder and lightning storm last night! Wind and rain all day led to the storm that began about 11:00 pm. The house shuddered as the thunder clapped overhead, then the lightning struck and the sky was as bright as a flashbulb (remember them?) in your face. And hail, don't forget the hail that dropped, stopped and began again in concert with the thunder. Weather like that reminds me of soup. Well not soup exactly, but wrapped up in a blanket, safely on the couch watching as mother nature produces the featured event of the evening, with a mug of soup to sip and enjoy. This soup comes to mind. The thing about soup is, there are a lot of vegetables in there, and no one seems to mind. Soup is a great way to get more vegetables in your families meals. I bunch of kale, diced, which makes it easy to manage on your spoon. Here is a guideline of what I did for this soup, however soup is very easy to personalize. You can have meat, lots of meat or no meat. You can use different vegetables, or (gasp) no vegetables! You will notice that I do not put potatoes in the soup because I do not like the texture of them when the soup is thawed, after being frozen. But I do have a potato idea that I will share, you will find it at the bottom of the page. 2 pounds lean ground beef, made into a large patty, sear on both sides, set aside to cool. Place diced vegetables in bottom of the crockpot, sprinkle with the barley and seasonings. When the large meat patty has cooled enough to handle, dice it into 3/4-1 inch pieces. Add the diced meat to the crockpot. Add tomatoes and their liquid. Add stock to come within 1 inch of the top, cover and cook on high for 6 hours. This process makes 6 quarts of meaty dinner soup. This soup freezes well and will be enjoyed again for an easy dinner when your schedule is busy and time is tight. Potato idea: When we have baked potatoes, I always bake up more than we need for that meal. I like them pan-fried the next day. This is great for soup night. When you are having soup for dinner have a baked potato ready to pan fry, add that browned crispy fried potato to the bottom of the soup bowl, ladle on your soup. Delicious, I hope you will enjoy this as much as we do! Savory Rice Stew, frugal and delicious! This formula is based on the cooking time for one cup of rice, for our family, this means brown rice. Brown rice is delicious and the cooking time required is much shorter in the EPC, but it is long enough that everything else included in your Savory Rice Stew, will also be cooked to perfection. This is by no means a fixed recipe, it is, however, a suggestion that dinner never need be forgotten again. No matter how tired you might be, or what you might have in your pantry. You could change the personality/flavor of the Savory Rice Stew by eliminating the carrots, with a diced sweet pepper, as well as the dijon mustard for a bit of your favorite Tex-Mex seasoning. You could change out the meat and use part of the roast from another meal. You could skip the meat altogether, and instead, add a can of beans for a meatless version. I do believe that you get the gist, that what you have, put together with love, equals dinner! Layer into the cooking pan in the order given, rice, then vegetables, season with garlic salt and pepper. Add chicken and diced ham. Stir mustard into the chicken stock, pour over contents in the cooking pan. Cover and cook on high for 25 minutes, let rest 10, then vent. Salmon Cakes, These fish cakes should be on everyone's plate! don't let the plain look fool you, these are so delicious! While you do need to plan ahead for the small potato that must be baked and cooled, to make these wonderful Salmon Cakes for your dinner, they are worth it! This is a delicious "Pantry meal". The bacon sets off the flavor in this dish, so don't even think about not using it! These little cakes are a bit fragile until turned to brown the second side. Note: this recipe is being re-published, it is too good to miss! Cook bacon until brown and crisp, remove to a small plate and drain on toweling. Drain all but 1 T bacon fat from the pan, saute onion until soft but not brown, you do not want a browned onion flavor in this dish. Let onion mixture, cool. Combine the cooked bacon, onion, egg, mayonnaise, mustard, sugar, and lemon zest in a bowl. Add the salmon and potato, mixing gently after each addition. Form the mixture into 12 small patties. In a shallow dish, combine the breadcrumbs, Parmesan, and pepper, to taste. Coat the patties with the breadcrumb topping. Heat the oil/butter in a large saute pan over medium heat, and cook the salmon cakes in batches until golden, about 3 to 4 minutes per side. Add remaining oil/butter and for the second batch. Arrange on a serving platter and serve. These may be served with lemon wedges, tartar sauce or a raita. There will be no leftovers, that's for sure. A Large (20!) and Tasty Collection of 4 Ingredient Recipes! 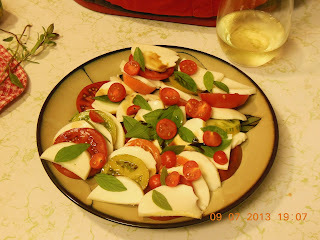 I have been blogging for 10 years, but I have been cooking for 55 years. I believe I have whined stated that I began cooking at age 7, making the morning coffee for my mom and dad. After a while, you get a feeling about food and combinations of food. Soon you just know, it will work and if you get smarter along the way, you also get to learn what will not work! With our upcoming changes (as soon as the house sells!) we will get busy, getting busy with full-time travel. I have had concerns about our eating healthy while traveling, and one of my first challenges was to make sure I had my recipes ready to go. At that point, I thought it would be nice to share with others traveling full-time also. 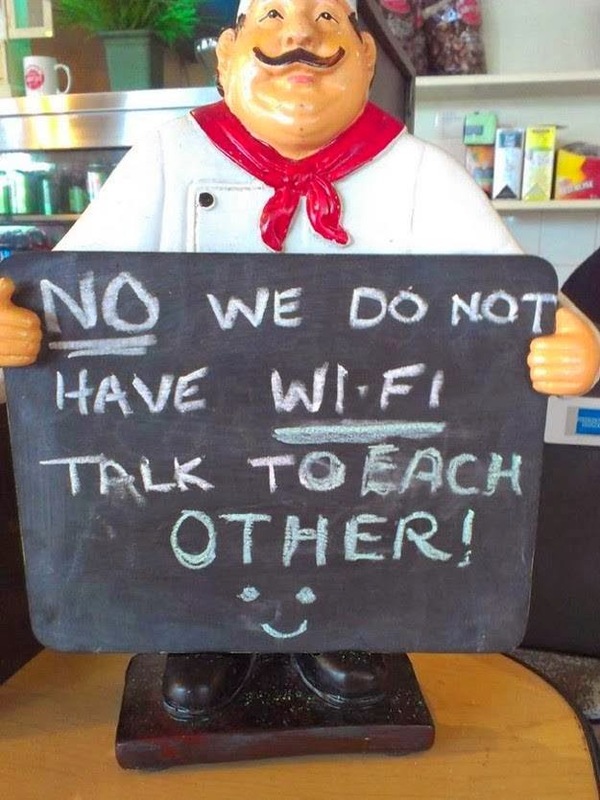 Of course we will enjoy the occasional cafe meal because it is fun, but for the most part, we will eat in house. This round-up of four-ingredient recipes is my second installment to ensure we will eat well, while on the go! If desired, you may view the three-ingredient round-up here. Next up, will be 5 ingredient recipes. Savory Black Eyed Peas with Bacon and Red Wine Vinegar. This is the perfect side dish to simmer up to round out a meal. Canned beans save the day, once again! Time Management Bread. Whole grain beer bread! So easy, made with self-rising flour. You can make this up at a moments notice, perfect with soup, stew, and salads. It is also great toasted with butter. 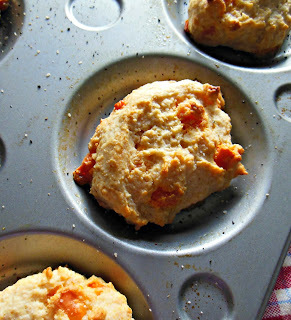 Cheddar Cheese Drop Biscuits. There is not much to say about cheese biscuits, they do a pretty good job of speaking for themselves! Another delicious recipe made from your own homemade self-rising flour! Broiled Plums with Sour Cream and Honey. Some fruit, a broiler, a bit of sour cream and a drizzle of honey. Together the sum of the parts is magic! Chilled Mint Cups. Minty, creamy, and delicious. Crush some candy, whip some cream and assemble. Chill, then serve and get ready for the compliments! Lasagne Stuffed French Bread. There are no words to describe how good this is, fun also. Just as good as our Spaghetti Stuffed French Bread! Pretzel Toffee. 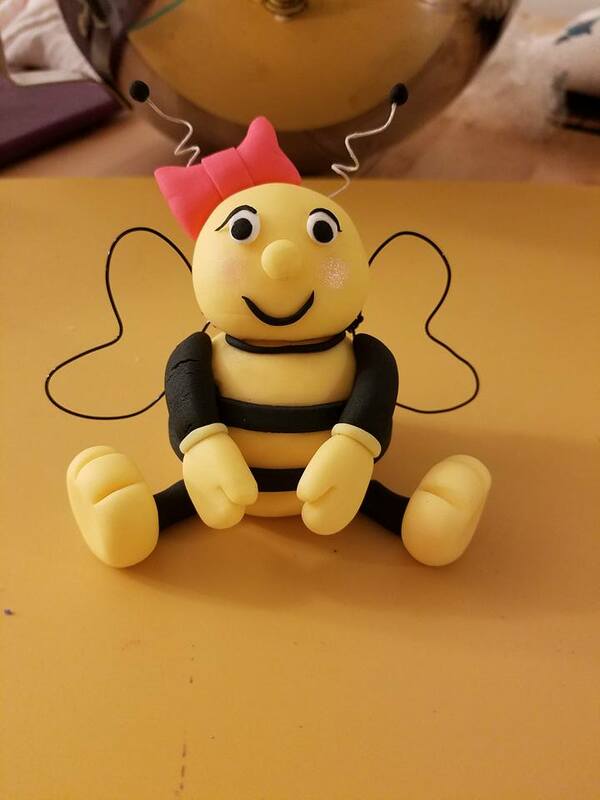 One of my first adventures in candy making. Easy and delicious! Summer Salad of Crumbed Tomato Slices. Tomatoes dressed and topped with crumbs and cheese. Super easy and very delicious! Like a Candy Bar Sandwich. Perfect for a busy day of chores or a fun day of hiking or kayaking! Easy to transport and needs no refrigeration. Fold the halves together and cut into quarters. Easy Toffee. Brown sugar, walnuts, and chocolate. Just break and share. Baked Crackers and Cheese. These are crispy, cheesy, delicious and frugal. Perfect snack food. Chewy Noodles, for Chicken and Noodles. Chicken and Noodles, when made from scratch, is perfect for winter and cold weather meals. Homemade chewy noodles are the best, give these a try. You will find prettier food, but not more delicious! Roasted Bitter Greens. Many cultures enjoy the five flavors: sweet, salty, sour, bitter and umami (the taste of deliciousness). Through the years I have learned that I enjoy the bitter flavor found in food. Roasting greens will add a new element of flavor, but underneath is that mild bitter I have come to enjoy. Baked Mushroom with Thyme and Garlic. Mushrooms are always a wonderful side dish! Broccoli Dressed with Curry Butter. This is perfect for that package of broccoli you picked up when you restocked your RV pantry! Different and delicious! Roasted Brussel Sprouts. These little cabbages, take on a lovely nutty flavor. 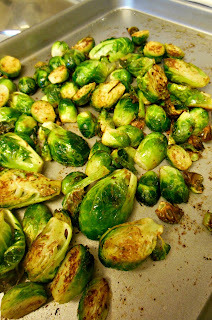 Let the kids or other kitchen help, get the sprouts ready to roast. Asparagus Spears and a Spicy Dunk. It goes without saying that any vegetable and any "something" else can be substituted. The important thing to remember is to eat your vegetables! Grapefruit and Rosemary Chicken. Marinade, then gill outside or broil, depending upon the weather! Tomatoes from the Garden Salad. Just for the record, any ripe, juicy tomato works for this wonderful salad! Please note, all recipes presented here are from 2017 and prior.